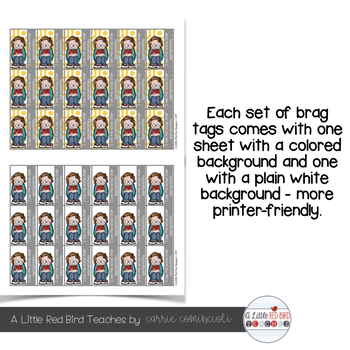 Brag Tags are a perfect addition to your classroom management. They can be used in a variety ways and work with any management style. They are a great way to recognize students for positive behavior, good choices, effort, meeting goals, etc. My students have been motivated with using brag tags! They love earning new ones and adding them to their collection. They get so excited when they earn one they don't already have! My students wear these on a beaded clasp necklace. 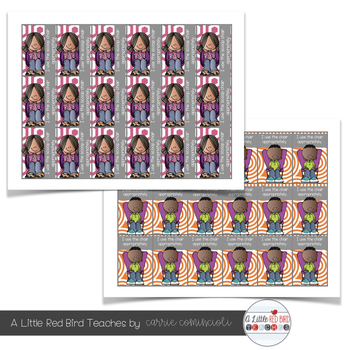 Your students can wear or display them however works best for you! This set of brag tags includes full color page and a printer-friendly page of each set of tags. There are 15 brag tags per page. 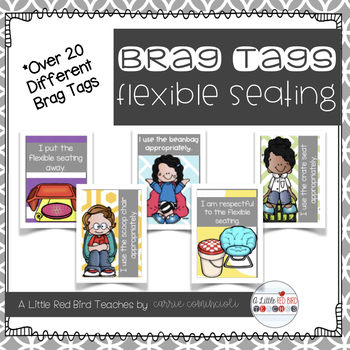 This set of brag tags is a Flexible Seating Theme. After printing the brag tags (on white paper or color paper if you don't want to use the color ink), I always laminate mine so they last longer for the students. Then cut out each sheet and hole punch each tag. I also have a growing bundle of all of the brag tags in one discounted file. 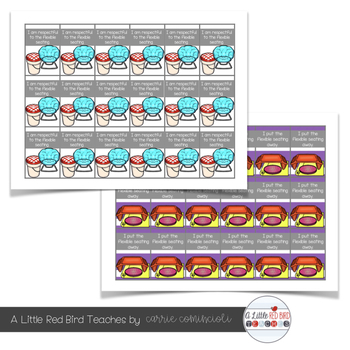 Here is the link to my Flexible Seating Posters.